FIFA grassroots coaching course undertaking and conference in Somalia. Its the world football governing body program by President Blatter’s ‘touch the world’ initiative in the war-ridden countries. With the conclusion of the first ever FIFA grassroots coaching course in Somalia on Monday 19th of August 2013, the world football governing body has confirmed the successful implementation of President Blatter’s ‘touch the world’ initiative in the war-ridden country where FIFA has reached for the first time since 1986. After five days of a marathon job the capital Mogadishu has witnessed a very colourful ceremony which intended to mark on the conclusion of the course in the presence of high profile Somali FA and government officials where the trainees were presented their certificates. Somali Football federation Secretary General Abdi Qani Said Arab who first addressed at the conclusion ceremony thanked FIFA president Joseph S. Blatter and his executive committee for their commitment to develop football in Somalia. “We have learned a very important slogan from President Blatter who several years ago announced that FIFA was prioritizing three things which are: touch the world, develop the game and put better future, all those three words mean that football must reach from corner to corner in the world---today we have realised that president Blatter’s touch the world initiative has become true in Somalia, because FIFA has arrived in Somalia for the first time in nearly 30 years” SFF Secretary General Abdi Qani Said Arab told the conclusion ceremony Monday. He said that the grassroots course was the first ever of its kind that Somalia gets from FIFA and the SFF was very grateful to the world Football body for ensuring the basic course in Somalia which he said will help the country build up football from the bottom. He said such course was part of President Blatter’s develop the game initiative. He thanked the instructor for arriving in Somalia and the huge efforts he spent in a bid to help Somali coaches understand more in such program which Somalia had never had before in its football history. During his speech, Secretary General Abdi Qani Said Arab also praised the directorates for sport, health and education of the civil service development ministry which he said had developed good cooperative ties with Somali football Federation before and during the course. He announced that CDs containing films of the full program from the very beginning until the end will reach FIFA headquarters in Zurich next week. “Somali Football Federation will soon draw years-long strategic plan for the children who will be given continues training sessions until they will reach a higher level that they can play in youth competitions and local leagues” the secretary General told the closing ceremony Monday. “The course was very much important for Somalia, because this is the only way we can prepare professional players who will have good future in football” he explained praising the commitment of the trainees who came from schools in the capital and regional zones through local clubs. 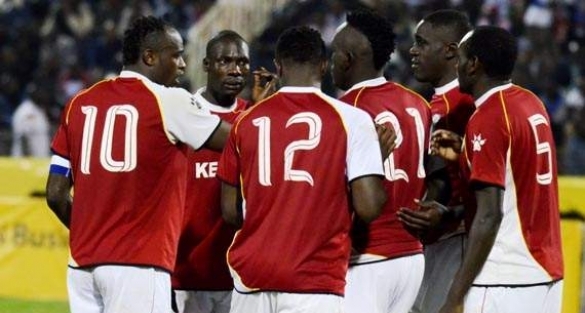 For his part the FIFA instructor Ulric Mathiot said he was attracted by the high profile hospitality extended to him by Somali Football Federation officials from the day of his arrival to the moment. “I conducted courses in so many countries and to my surprise I haven’t experienced such high profile hospitality i received here in Mogadishu” the instructor noted during his address at the closing ceremony. 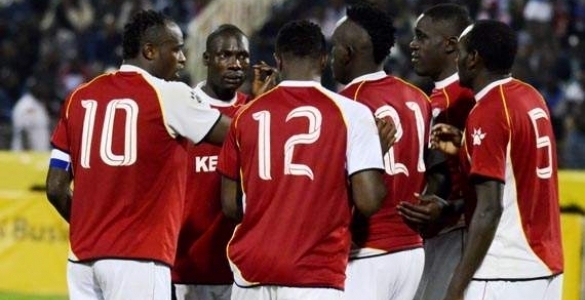 He praised the local instructors for their constant help during the class and practical sessions at the stadium: they were technical director Awil Ismail Mohamed, Mohamed Abdulle Farayare and Abdi Farah Geela. “Today we are closing the five day-long course, but I will stay here in Mogadishu for three more days during which I will take CAF license C examination form Somali coaches” the FIFA expert told the closing ceremony. He said the examination will take place on Wednesday and Thursday. “Somali Football Federation officials spent more time with me, but I confirm here in front of you that Secretary General Abdi Qani Said Arab was always standing alongside me---I didn’t miss him even a single minute since I arrived here in Mogadishu a week ago and this shows how fully he is committed to the promotion of football in Somalia” the FIFA instructor indicated. “The secretary General did more than his official duties and I thank him for that” he said. “On the behalf of FIFA I praise Somali Football Federation for ensuring a successful course, the program was accomplished as scheduled and we didn’t meet even a single minute of delay—the participants were fully committed to the class attendance and they carried out their practical sessions wonderfully” he added. “Today you are receiving your certificates, but that doesn’t mean your work has finished there, because from today you are officials and you have professional documents showing you have the knowledge of grassroots program, so we want you to ambassadors in your regions and deliver the knowledge to those in your areas particularly in schools” he told the trainees. The instructor thanked the civil service development ministry for its role in the promotion of football in the country praising the cooperative relations between the government and Somali Football Federation. “IF you continue such cooperation, FIFA is always ready for you and will help you anymore” the instructor told Somali Football federation and government officials at the closing ceremony. “The joint work by both Somali FA and the government is sending a clear message to FIFA and I am hopeful FIFA will continue helping Somalia” he mentioned. President of Somali Football Federation Ali Said Guled Roble told the participants that the end of the course marks the start of another huge job which must be done across the country and they are the people who are expected to carry out such duty. “Today this ceremony marks the end of a course, but as long as the course finished it doesn’t mean that you have done all your duties, but instead we want you to practice what you have learned and play your role in the development of football in Somalia” SFF president urged the course participants during his closing remarks. “Both FIFA and the SFF have spent money, time and a lot of efforts in this course and all these efforts have been made in a bid to build up your knowledge, the SFF has opened a new page of examining all football volunteers not only you---If you do a good job that is what we want and you will be rewarded, but if you do not play your role in the development of the game then you will be suspended” the president told the trainees. “We want you to practice your knowledge and experience at schools across the country – we want every one of you to carry out this program in his area” the president said. On the behalf of SFF the president thanked FIFA for implementing this very crucial training course in the country for the first time in history. “Our objective is to get very talented footballers in the near future and I am hopeful that can be reached if you show commitment and realistically practice your knowledge in your regions” he noted as he handed the microphone over to the deputy minister for the civil service development who officially announced the closure of the course. The deputy minister Mahmoud Moalim Yahye told the ceremony that Somali government was fully happy with such course and asked FIFA for more other courses. “For the past several days we have felt the strength of football, because everywhere in the country people have been talking about the course which we see as a major success for Somalia” the deputy minister said. “This project is very fruitful Somalia, because in one way it is helping the development of football in the country and in the other way it is protecting the children from falling into crimes, that is why we can describe it a very successful program” the deputy minister noted during his closing address. “I witnessed some of the practical sessions during the course and what attracted me was the beauty of the stadium Banadir which was installed with an artificial Turf—as the government of Somalia We are very grateful to FIFA for the course and for beautifying our stadium” he said adding that Somali government was asking FIFA for more other development programs. He noted that his ministry will play its role in the country’s football development as much as they can. He finally announced that the course was officially closed. In the afternoon there was a colourful festival congregation at the under construction Stadium Banadir where more than 400 children between 6-12 years of age took part. The children were from schools in different regions and were the start of the country’s grassroots program. Somali FA technical director Awil Ismail Mohamed first welcome SFF secretary General Abdi Qani said Arab to officially announce the launch of the festival in the presence of high profile Somali government officials and well known football legends. 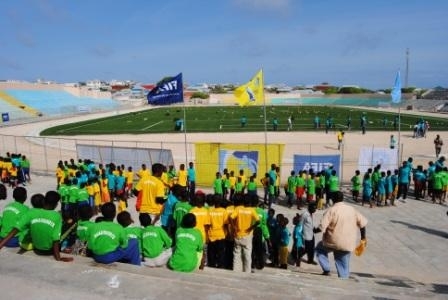 “It is a historic day for the entire Somali football family members to see such large number of children who are taking part in a special program that FIFA is doing for Somalia for the first time in history” Secretary General Abdi Qani Said Arab told the festival on Monday afternoon as he officially announced the festival was open.